How to Stop Interrupting | Valet. 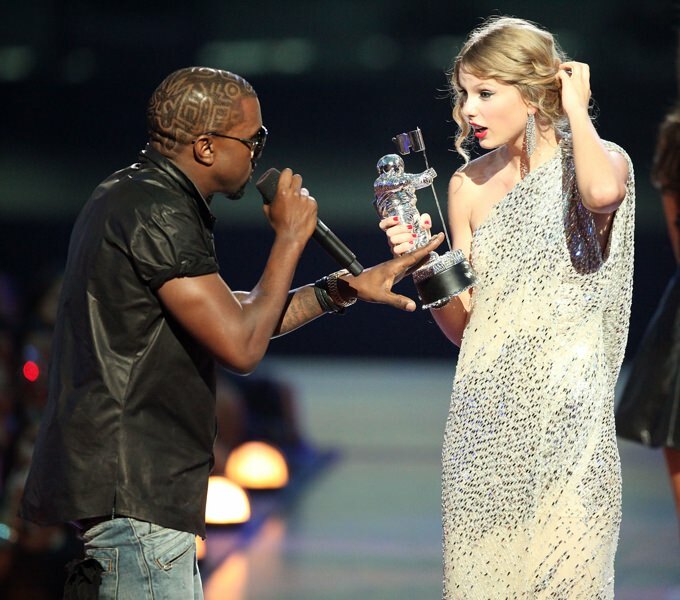 "I'ma let you finish ..." Kanye West famously interrupts Taylor Swift at the 2009 MTV Video Music Awards. I'll be honest. I pitched this story to my editor because I realized I had a problem. Though I only ever notice my offense after I've committed it. I'll be in a conversation with someone or perhaps a group of people. Ideas are shared, outlooks are expressed. We're just talking, right? But then an idea will pop into my head and instead of waiting to find the right time to interject, I blurt out my seemingly brilliant point of view. Only then I notice the slight change in someone's face—usually the person who was just talking, whom I interrupted because my thought was so good, it had to have been shared right then and a not a second later. I came to the realization that I was a serial interrupter. And I wanted to research the subject and learn how to stop doing it. All the damn time. After all, barging in on someone else's sentence pisses people off. Maybe they'll say something, maybe the won't. But I know it makes me seem self-centered and impatient. Two things with which I'd rather not be associated. If you, like me, would like to be a better conversationalist, here's how to kick that nasty habit. This is one of the most common mistakes serial interrupters make. And it's well-intentioned—we just want to be prepared—but it often means that we're not fully present in the conversation we're having. When you're busy locking and loading what you're planning to say, you're not really listening to what's being said. This makes it easy to interrupt because you aren't paying attention. Plus, it usually leads to saying something slightly off topic as well. The key to being present is simply listening to what's being said to you. Don't form your answer ahead of time. Be engaged with what they're saying and what they're trying to convey to you. Wait until they're done talking. Then give your thoughts. Or you could even wait until the other person asks you what you think. Honestly, listening more than you speak is almost guaranteed to give you the perception of possessing wisdom. Interrupters tend to latch onto any gap in the conversation and take it as a cue to jump in with a thought. Dr. Todd Linaman, a psychologist and executive coach, recommends mentally assessing the importance of what you are about to blurt out. "When the person stops speaking, count to five while asking yourself, 'Is what I have to say absolutely critical to the conversation?'' he says. "Your answer will be 'no' most of the time." Most men have a fix-it mentality. It's just how most of us are wired (or perhaps socialized from a young age). So instead of listening, I start drifting off mid-conversation to focus on how I might find the solution for this problem. And when I do, I blurt out my idea as soon as I land on it, no matter if the other person is talking. "You might interrupt because you genuinely want to be helpful or positively influence a conversation," says Dr. Linaman. 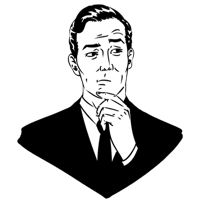 "But the irony is that you will have more influence by being a good listener and waiting to be asked what you think than you will by interrupting others." It sounds kind of silly, I know, but this one has really helped me. If you really want to stop interrupting you need to practice listening without constantly interjecting. Part of that is physically keeping your mouth shut. Practice keeping your lips together while you listen and don't open them until you're ready to speak. It's a good way to train yourself that when your lips are together you're in "listening mode." When you inevitably catch yourself talking over someone, graciously say, “I'm sorry, you were saying ...” (and then close your mouth and listen).